"Breaking The Silence About Domestic Violence"
Are you in or coming out of an abusive relationship? Are you in trouble today? Are you struggling to pray today? You can't seem to find the words to pray? If so...just call on the name of Jesus! Deliverance in the name of Jesus! 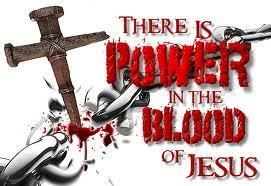 There is power in the blood of Jesus! Do You Hurt The Ones You Love? Turn to MENERGY for a program designed to help them become nonviolent at home, more responsible for their behavior, less controlling and abusive of their partners and more caring and empathetic husbands and lovers. * Abusive people must take full responsibility for their abusive behavior. * It is particularly important for men to not retaliate for behavior they experience as abusive from their partners. * Safety must precede healing. Men must be willing to give up dangerous or threatening behavior as part of their contract to change. * Abusive behavior is learned. It can usually be unlearned. * Recovery from being an abusive or controlling person requires a serious acknowledgement and ownership of the problem and a willful commitment to change. MENERGY is a center for psychotherapy, counseling, education and training services for men, women and their families. For MENERGY services in Spanish, call 267-625-6135. The Hope of Survivors "Clergy Abuse"
Do You Need Help? Do Have A Prayer Request?